There’s no point spending half your life living rough on the road if you can’t indulge a few private interests from time to time. One of mine is seeing as much wildlife as possible. Though I’m really more interested in smaller stuff like reptiles and insects, I’ve always had good luck with primates; highlights include seeing orang-utan, proboscis monkeys, gibbon, tarsiers and black macaque in Indonesia, red colobus in Zanzibar, and white-headed leaf monkeys in China. For some reason golden monkeys have always appealed to me as well, perhaps because of their rarity, swollen lips and complete lack of a nose (they’re also known as snub-nosed monkeys). Found only in high-altitude forests on the Tibetan plateau and in a few isolated locations in western China, they live through most of the year on a diet of lichens and leaves. But because I was clearly looking in all the wrong places, it took a very long time – over fifteen years – to see them in the wild. My first attempt was back in 1995 at a mountain in northern Guizhou, Fanjing Shan, where there was meant to be a small population. Fanjing Shan isn’t so remote, but at the time it was difficult to reach, involving multiple changes of minibuses in small towns that, judging by the crowds of onlookers that gathered to gape at me, rarely saw foreigners. In the event, transport dried up ten kilometres short of the mountain, meaning a long walk just to reach the base. From here it took another three hours to hike up a steep, derelict stone staircase to where a clutch of ruined Buddhist temples sat in thick forest just below Fanjing Shan’s summit. There were no facilities; I ate and slept in a woodcutter’s hut, then got up early for the final climb through thickets of dwarf bamboo to where the mountain levelled off on a plateau covered in strangely-piled rock formations. But no monkeys: everything was sunk in clouds, and I couldn’t see more than two metres ahead. I returned to Fanjing Shan in 2007 to find a new road to the mountain half buried in landslides, so I still had to walk in for five kilometres. 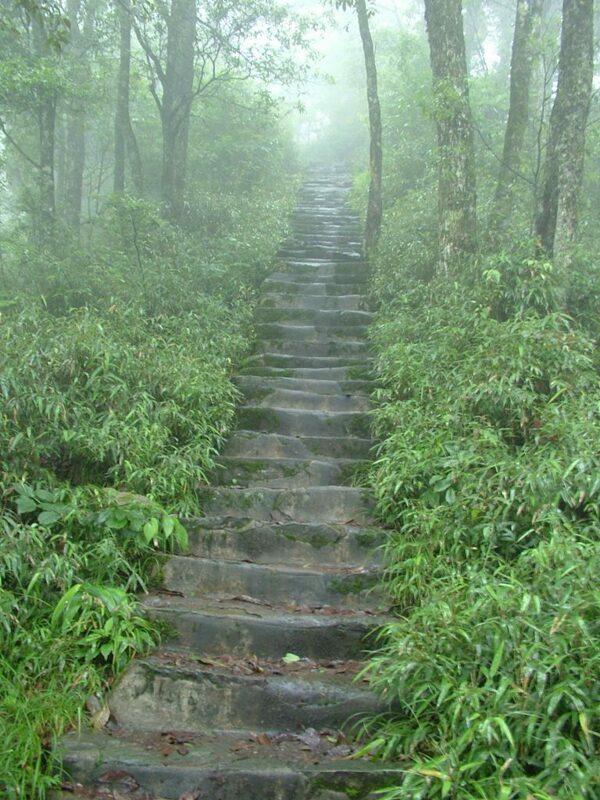 The steps were as steep as before, and the weather so humid on the way up that each breath was like inhaling warm soup. By now one of the ruined temples had been turned into a basic guesthouse, so I did at least get a proper bed for the night and a bowl of noodles. The visibility was better too, but I still didn’t see any monkeys. Nowadays there’s a cable car to the summit, and I the increase in visitor numbers has probably chased the monkeys away. The second place I tried was at Shennongjia, “Shennong’s Ladder”, in Hubei province. 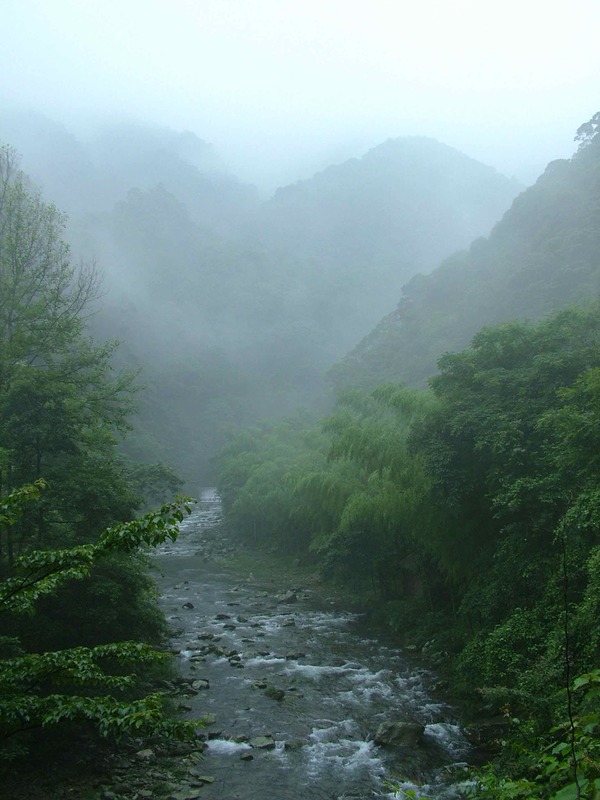 Shennong is a Chinese agricultural deity, credited with introducing the plough and discovering the medicinal uses of plants, and Shennongjia remains an extremely wild corner of China, way up in the mountains north of the middle Yangzi. As an indication of its isolation, the plant collector Ernest Wilson went through Shennongjia in 1911 and described its only settlement, Xiaolong Tan, as just two houses around a pond. I visited 87 years later and it was still exactly the same, and there aren’t many places in China you can say that about. 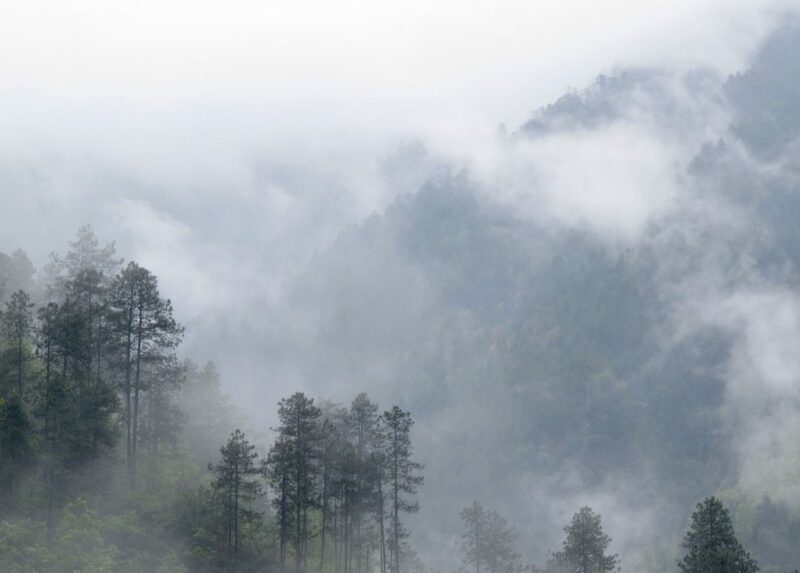 The reasons Shennongjia remains untouched is a) it’s an extremely rugged area; b) it’s a protected nature reserve; and c) according to one of my local sources, China’s nuclear missiles are based nearby. It was certainly extremely difficult to get permission to go in (the paperwork took five years) and even when I did, snow had buried the hiking trails and our guides, worried for our safety, wouldn’t let us explore. So yet again I missed out on seeing wild monkeys – though they did have one in a cage at the “monkey hospital”. My third attempt, in 2010, took me to Yunnan province, over towards the border with Burma. 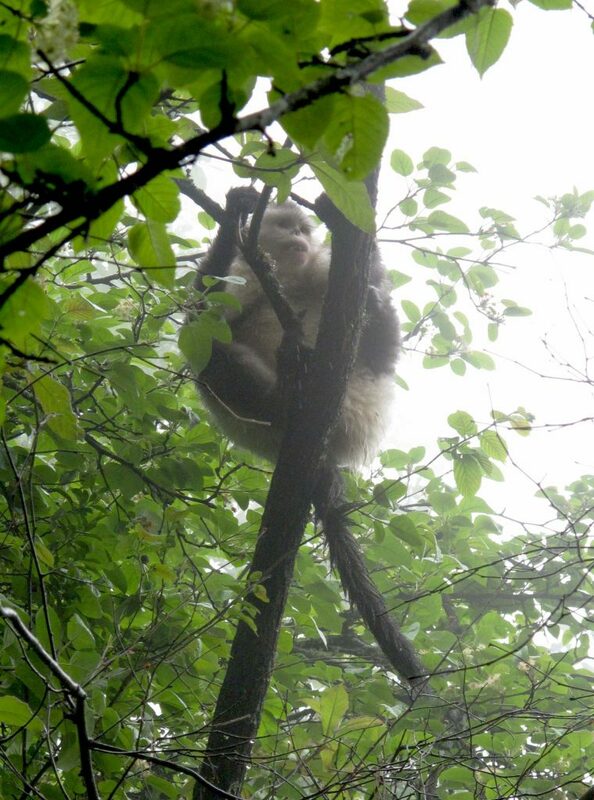 Someone who worked for the World Wildlife Fund told me about the brand new Yunnan Snub-Nosed Monkey National Park, which even had observation platforms for watching them. As before, the park was up in a mountainous, untouristed area, but it wasn’t ridiculously remote, with a daily bus service to the nearby township of Tacheng, where there was a small army base, a main street, a take-it-or-leave-it restaurant and not much else. We found a room for the night above the restaurant, one of the most squalid places I’ve ever stayed. Early the next morning, we followed the road up the mountain for a few miles to the park entrance, where there was an enormous, utterly empty car park. Judging how delighted the staff were to see us, we might well have been their first ever official visitors; we got a tour of the reserve museum and then handed over to a guide and driven up the valley in a minibus to where rough stone paths continued into the heart of the reserve. Our guide, a young woman with high heels and jeans heroically unsuited to the weather or terrain, seemed glued to her phone – though not, as it turned out, gossiping on social media, but trying to locate some scientists who were off in the pine forests somewhere, trailing a family of monkeys. Eventually she got her bearings and off we hiked off into the forests along a slippery mud track. Half an hour later we spotted the scientists and then there were the monkeys, playing in the trees above. We spent a magical half-hour watching them in the rain – success! What a delightful piece. Thanks for sharing. Need u to describe what the monkeys and the scientists did though. Thanks Osmond, glad you enjoyed it. Scientists wouldn’t talk to us tourists so I’m not certain what they were up to, but our guide said they basically just follow target monkey families around to record what they do day-to-day. 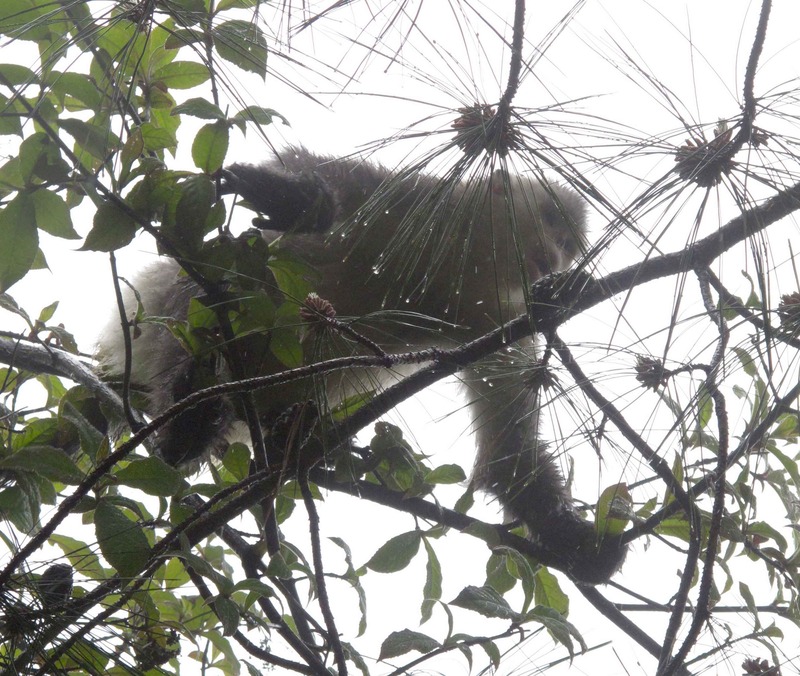 As for the monkeys, as I said – they were just playing and eating leaves. Nice Article David! Now stop monkeying around and write some more!